All our professionals at Elite Cardiology Solutions LLC maintain the highest levels of accreditation and pursue ongoing education to stay abreast of the latest trends in cardiology. 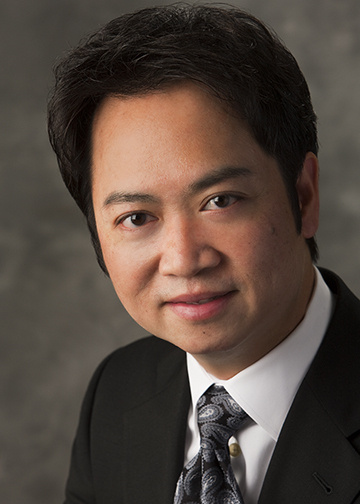 Dr. Nguyen graduated from Ross University School of Medicine in 1997. His rigorous training also included a postgraduate residency training in Internal Medicine at Mercy Hospital and Medical Center where he received the distinguished “Resident of the Year Award” in two consecutive years and two distinguished “Scholar Award.” His dedication and commitment to higher education led him to seek further training in Cardiology at University of Missouri Kansas City, and Electrophysiology at the prestigious Mid-America Heart Institute in Kansas City. Dr. Nguyen’s passion for human service is highlighted by his compassion for patient care, belief in Women’s Health, commitment to clinical research in the areas of “Health Status Outcomes”, and relentless supporter of medical and clinical education. Prior to Dr. Nguyen joining the staff at Provena Saint Joseph Hospital in 2006, he said “there was a void in electrophysiology (EP) services in areas of prevention, health status outcomes, and quality of life research.” He worked relentlessly every day to fill that void as the Director of Interventional Cardiac Electrophysiology at Provena Saint Joseph Hospital, while serving as the lead researcher on multiple novel clinical studies related to the psychosocial impact of device therapies and health status outcomes. In addition to being named as the Physician Champion of the new heart failure program at Provena Saint Joseph Hospital, Dr. Nguyen was also the recipient of the 2007 R.I.S.E. Award for clinical excellence. Motivated by his passion to teach, he established the Cardiovascular Symposium for all the nurses and ancillary staff at Provena Saint Joseph to empower them with the most up to date information and strategies to optimize patient care. He is a life time supporter of Women’s Health Initiatives. Presently he has joined the medical staff at Provena Mercy Hospital and Kishwaukee Community Hospital where he brings technology, innovation, and research to optimize patient care.